I tend to agree with Isaiah Berlin and Erik von Kuehnelt-Leddihn that liberty and equality do not naturally go hand in hand. In fact, more often than not the choice between them is an either/or one. Let us make no mistake here – I am not referring to the kind of equality than no libertarian would hesitate to endorse, that is, the equality of possessing the natural rights to life, property and the pursuit of one’s conception of happiness within the bounds drawn by the principle of non-initiation of force. I am referring to coercive, redistributive equality of wealth, whose promotion forms the backbone of the doctrines grouped under the name of egalitarianism. In the following text, I would like to offer a brief description of what I take to be the ten most flagrant problems with the doctrines under consideration. But before I move on to their enumeration, let me deal first with the question of whether a libertarian society could not voluntarily implement the goals of wealth egalitarianism. It appears that on a conceptual level there is no necessary incompatibility between the two – it is possible to conceive of a community in which people endowed with superior profit-making skills retain for themselves only that portion of their income which suffices for living a modest life, while committing the rest to various charitable endeavors. However, since there is also no guarantee that entrepreneurially skilled people in a free society would act in such a manner, egalitarians take it upon themselves to ensure that they do by making society sufficiently and relevantly unfree. Furthermore, even in the society of the good Samaritan businessmen, the people in question would still have to wield a substantial amount of capital if they were to be capable of generating huge streams of wealth ready for charitable distribution. In other words, even such a society would have to remain distinctly inegalitarian. Thus, the traditional opposition between liberty and (wealth) equality is, as far as I can see it, real and substantive. 1. Simple egalitarianism, i.e., the doctrine that one should strive to make everyone’s resources unqualifiedly equal, can easily lead to straightforwardly disastrous consequences. Imagine the following scenario: there are five mortally ill people and 20 vials of medicine ready for distribution (let us assume that they belong to a charitable institution committed to fighting mortal diseases). In order to be cured, one needs to drink five vials. Now, if the distribution of vials were to be left to a follower of simple egalitarianism, he would give four vials to each of the ill, thus saving none of them. In light of the above, it might be argued that the egalitarian exhibited the virtue of impartiality, leaving all the persons involved to an equally bad fate, but it would be absurd to argue that his brand of egalitarianism is in any sense geared towards helping the needy or expanding the range of social opportunities. 2. What about a more sophisticated and at the same time more mitigated form of egalitarianism, claiming that what matters is not equalizing people’s resources simpliciter, but lifting everyone to a position of sufficient financial security? Although in my opinion clearly more reasonable than the previous proposal, this particular approach remains highly problematic. First of all, it still involves a forcible imposition on the whole society of a single vision of how to solve the problem of poverty. As a result, it undermines the efficiency of a variety of voluntary, cooperative methods aimed at achieving the same goal, as well as discourages people from utilizing such methods in the first place. 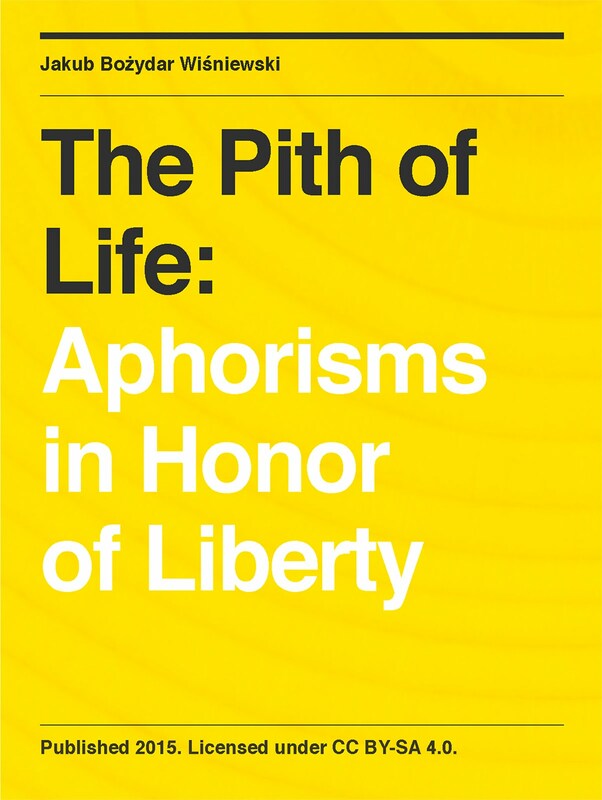 More specifically, it undermines the spontaneously emergent institutions of family, neighborly kindness and general human charity, while encouraging dependence, inaction and even parasitism. 3. Furthermore, it involves a forcible imposition on the society of a single vision of what constitutes a (sufficiently) good life, an act which I deem as incapable of escaping the objection of moral arbitrariness. After all, one does not have to be an egalitarian (or even a sufficientarian) to care for the plight of those who are dying of hunger (predominantly due to being subject to the rule of political regimes with equality of wealth on its banners), but I presume that no self-conscious non-egalitarian would be willing to make a pronouncement that, say, homelessness is a phenomenon to be unconditionally fought with by means of compulsory wealth transfers. In other words, I presume that every self-conscious non-egalitarian would be capable of comprehending that for some people homelessness may be a distinct and valuable way of life (which, incidentally, has a distinguished religious tradition known under the name of itinerant asceticism), and therefore refrain from exploiting the homeless as a source of excuses for one’s coercive meddling with the lives of others. 4. In connection with the previous point, it has to be noticed that as soon as it becomes clear that there is no non-arbitrary (or, equivalently in this context, no non-subjective) standard of what constitutes a sufficiently good life, sufficientarianism turns out to be a dog-in-the-manger doctrine, based on the coercive demand that one should unconditionally get for free what someone else acquired through his socially useful work or through a third party’s voluntary display of good will. Unhampered transactions between consenting agents hardly need moral justification (provided they do not involve aggression towards third parties), since they are mutually accepted as utility-increasing. Consequently, meritocracy is a natural, morally justifiable arrangement of social relations, in which those who manage to engage in the greatest number of the abovementioned transactions are, unsurprisingly, those who acquire the greatest number of their socially valuable fruits. Egalitarianism, on the other hand, turns the order in question on its head by demanding that the stream of goods and valuables flow specifically into the hands of those who did nothing to deserve their acquisition. If the sole reason for enacting such a flow were to be thought of as an attempt to increase the psychological satisfaction of the undeserving, then it is difficult to conceive of this process as anything else than a symptom of institutionalized envy. 5. But what if the “deserving” mentioned in the previous point do not really deserve their success? 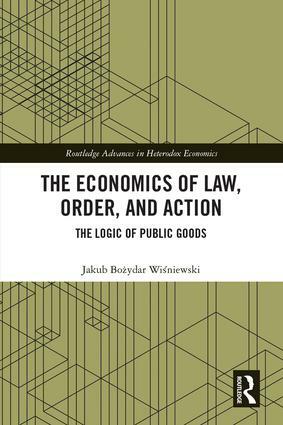 If, pace Rawls, free-market deserts and entitlements result from “the accidents of natural endowment and the contingencies of social circumstance”, then is it obviously morally justifiable for the most effective market participants to keep all the fruits of their labor to themselves? There are two issues to be remarked upon here. First of all, even if we were to accept the doctrine of absolute genetic determinism and conclude that the notion of desert is therefore devoid of substance, it would not imply that the market distribution of wealth is in any sense unjust. After all, nature does not use anybody as a means for the attainment of its own (or anyone else’s) ends, while the same cannot be said about egalitarian-minded politicians and bureaucrats. Thus, at the very least, even given absolute genetic determinism, the consequences of everybody’s using their natural endowments in a society based on voluntary interactions are just in the Kantian sense (which is not a totally unimportant point in the context at hand, since Rawlsianism is considered to derive its inspiration from Kantianism). Secondly, if the notion of desert is to lose its force (since all achievements are ultimately traceable to unearned genetic advantage), then the poor no more deserve their position of welfare beneficiaries than the rich deserve their position of the social elite. If the poor do not deserve their poverty, then why should they deserve welfare payments forcibly extracted from the equally undeserving rich? In sum, as soon as we buy into Rawlsian genetic determinism, every argument for coercive compensatory redistribution of wealth fails by default. 6. At this point, one might suggest that the fundamental Rawlsian insight does not refer to how things are in the actual world, but to how they would be like in the hypothetical world in which any deliberation as to what constitutes just rules of social organization would involve placing its participants behind the “veil of ignorance” (i.e., in the situation in which they are unaware of their natural endowments, inherited wealth, etc.). The decisive problem with this suggestion is that the whole concept of deliberating behind the veil of ignorance appears to be straightforwardly self-contradictory. After all, how could people in such a scenario start to deliberate in the first place if they were to be unaware of the extent of their reasoning skills and the shape of their psychological dispositions? Claiming, as Rawls does, that under such hypothetical conditions people would decide to create a coercively egalitarian social safety set requires assuming that they would be equally and highly risk-averse, as well as equally prone to statist rather than voluntary solutions, which is both a flagrant petitio principii and a violation of his own theoretical premises. Furthermore, to the degree that the actual world resembles the Rawlsian “original position”, his assumptions concerning people’s risk-aversion, intellectual courage and active self-reliance are falsified – after all, every entrepreneurial decision is made from behind a partial veil of ignorance, and it is certainly not the case that people (entrepreneurs and wage earners alike) do not often embark on highly risky (and sometimes highly successful) ventures. 7. By advocating the creation of a monopolistic, redistributive apparatus of coercion (it has to be remembered that egalitarianism, in almost all of its varieties, is an essentially statist doctrine), egalitarians support the establishment of a fundamentally inegalitarian order – i.e., an order in which a select group of people hold the socially legitimized power to use initiatory violence against others, while the latter have very little practical possibility of defending themselves, let alone effectively abolishing the legitimacy of the former group’s control over their lives. What egalitarians routinely seem to overlook is the fact that monopolized coercion, far from equalizing wealth or any other value, is uniquely suited for undermining and ultimately destroying every value apart from its own lust for control. Hence, even if the endorsement of full-blown redistributive statism were to carry any hope for genuine equalization of wealth, the accompanying danger of opening the door to practically unlimited use of initiatory violence should give pause to even the most ardent supporters of compulsory transfers of income. 8. Even if egalitarians were to succeed in imposing their project on society and effecting massive, regular redistributions of wealth from the supposed haves to the supposed have-nots, they would still have to reckon with the very likely possibility that the latter group will upset their preferred pattern of wealth distribution simply on account of its representatives still being individuals with different and fundamentally unequal needs, preferences, hopes, ambitions, etc. This, coupled with the fact that the haves possess superior skills with regard to satisfying those needs, preferences, etc., would very probably initiate the process of reverse redistribution, which could be stopped only by equalizing (read: forcibly narrowing down) the set of spending opportunities that the have-nots would be free to pursue. 9. It is often claimed that one of the most persuasive rationales for egalitarianism stems from the law of diminishing marginal utility, i.e., from the fact that a marginal dollar is worth much less to a millionaire than to a pauper. However, even though the law in question is indisputably true, it does not justify egalitarian policy prescriptions. Three points should be made here. Firstly, utility is a purely subjective, psychological magnitude, measurable only on an ordinal scale and only from the first-personal point of view. As a result, utility cannot be aggregated interpersonally and translated into any social welfare function. Secondly, no external observer can determine whether a marginal dollar accruing to a given person does not make her cross a utility threshold, meaning that this marginal dollar, qua being the final element of a unit belonging to a new class of goods, is worth more to this person than the previous one (as an illustration, think about the difference between the 99th and the 100th element of a collection comprising 100 elements). And thirdly, even if it were possible to perform interpersonal comparisons of utility and forcibly redistribute wealth to the greater benefit of society as a whole, it seems more than likely that repeated use of such a procedure would drain the entrepreneurial energy of the market, while at the same time encouraging dependence, flippancy and laziness, thus eventually decreasing social utility in the long run. 10. Finally, it has to be realized that a society organized around the libertarian principle of unrestricted freedom of association can contain all sorts of voluntary, egalitarian enclaves (communes, cooperatives, neighborly networks, monasteries, etc. ), but not the other way around. 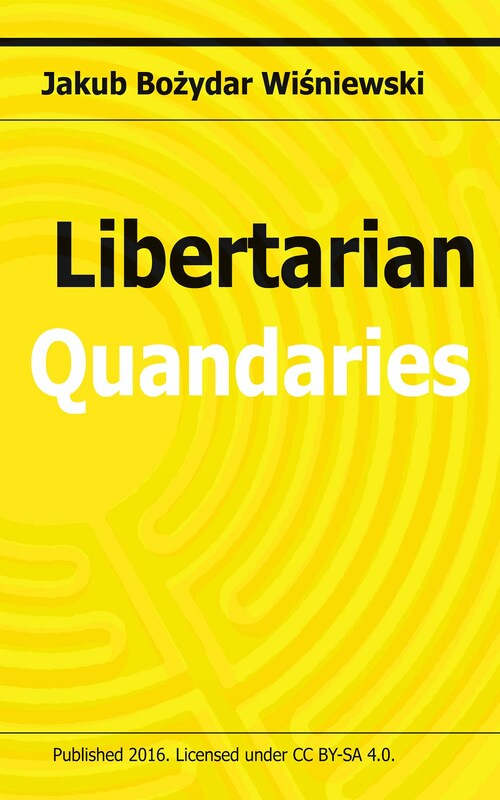 In other words – libertarianism is compatible with voluntary egalitarianism, but coercive egalitarianism is incompatible with libertarianism. And since nearly every currently fashionable form of egalitarianism is essentially coercive, while there is by definition no coercive version of libertarianism, we can get quite a clear picture of the motivating forces behind these respective doctrines. It is no good claiming that a free society would not voluntarily endeavor towards achieving valuable egalitarian goals and therefore needs to be forced to do so. After all, given such a view of human nature, why should the coercers be thought of as any more egalitarian-minded than the coerced? Furthermore, why not morally require of egalitarians that they finance the implementation of their goals out of their own, rather than someone else’s income? Again, if, in contrast to everyone else, they are supposed to be exempt from the requirement of financing one’s activities out of one’s own, contractually acquired money, then such an exemption would have to be part of a flagrantly inegalitarian order. This concludes my list of the ten most conspicuous flaws in the doctrine of egalitarianism. If they can be remedied, then I am open to reconsider my skeptical assessment of its feasibility and desirability. But until then, I will continue to regard libertarianism as the only game in town.